CityFeast honoree David Gomes (2nd from right) is joined by his brother Robert Gomes (2nd from left) with local officials City Councilor Sal LaMattina (left) and State Representative Aaron Michlewitz. CityFeast and Joslin Diabetes Center honored 26-year-old David Gomes on Sunday night for his pursuits to help children living with diabetes. David has been living with type 1 diabetes for 25 years. After graduating from the MCPHS Physician Assistant program in Boston, Joslin inspired him to want to work in the field of pediatric Endocrinology. David shows children that they can live a full life even with the daily struggles and responsibilities that come with having type 1. David’s mother, Carla Agrippino Gomes, owner of Antico Forno and Terramia Ristorante, created CityFeast 12 years ago to give back to Joslin Diabetes Center, which has provided her son with life-saving care since his diagnosis on his 1st birthday. CityFeast returned on Sunday, January 29th for its twelfth year to benefit Joslin Diabetes Center’s High Hopes Fund, which supports the Center’s greatest needs in research, education and clinical care. 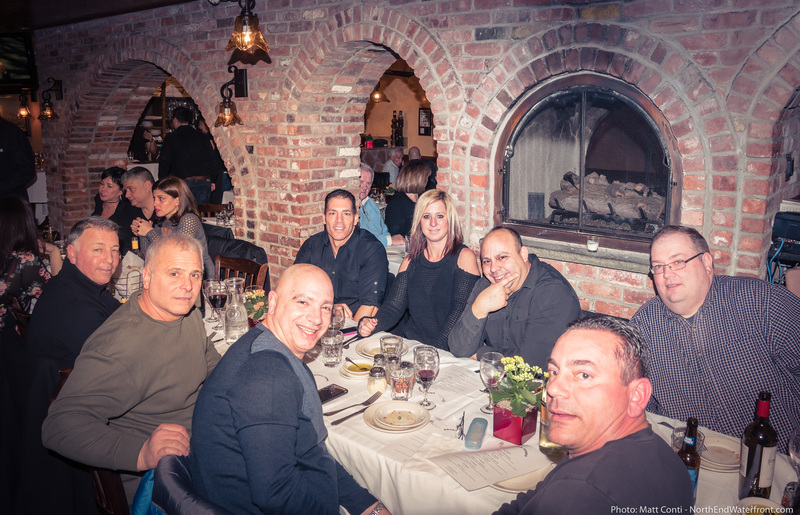 Members of the Madonna Della Cava society are regular supporters of CityFeast, shown here at Antico Forno. Headlining this year’s restaurants were Antico Forno, Aria Trattoria, Bricco, Lucca, Taranta, Terramia Ristorante, and Tresca. The event included a 5-course dinner and wine pairings at the participating North End restaurants. Over the years, CityFeast has raised nearly $300,000 for Joslin Diabetes Center’s High Hopes Fund. This entry was posted in News and tagged cityfeast.